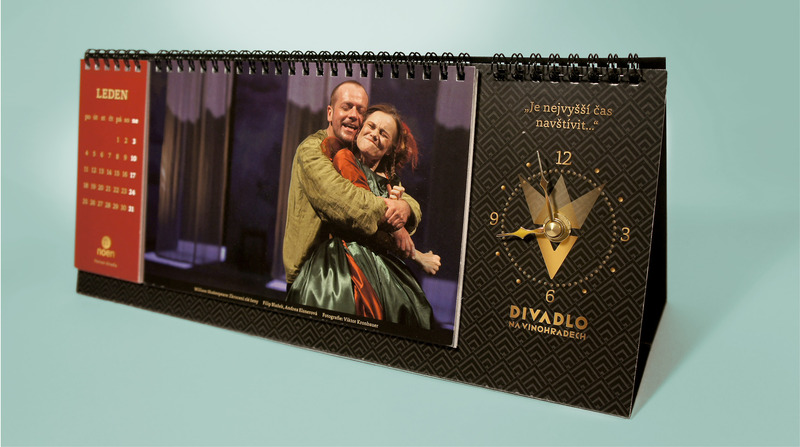 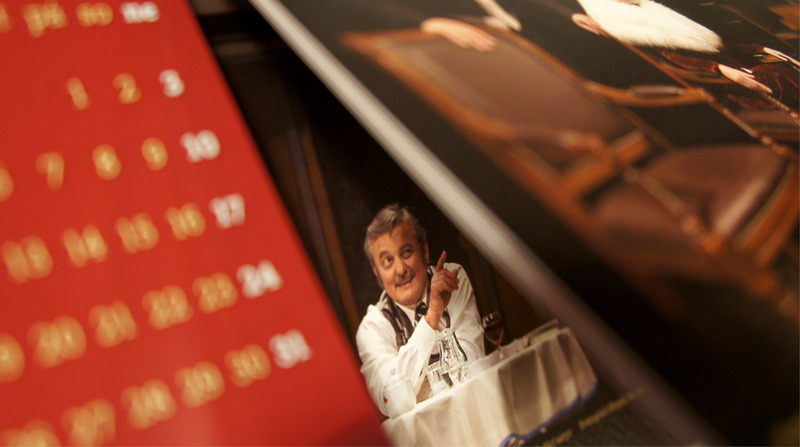 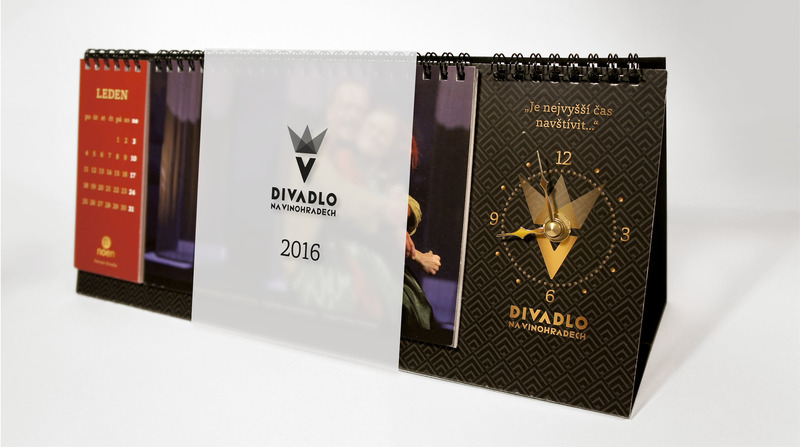 Intensive cooperation with Vinohrady Theater brought this new calendar to life. 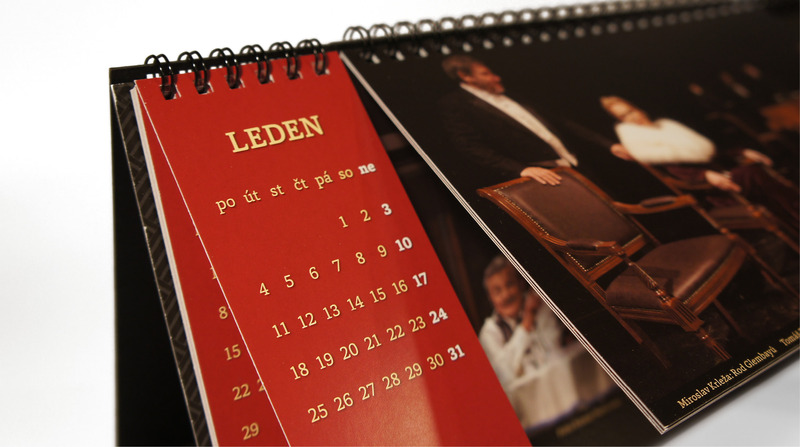 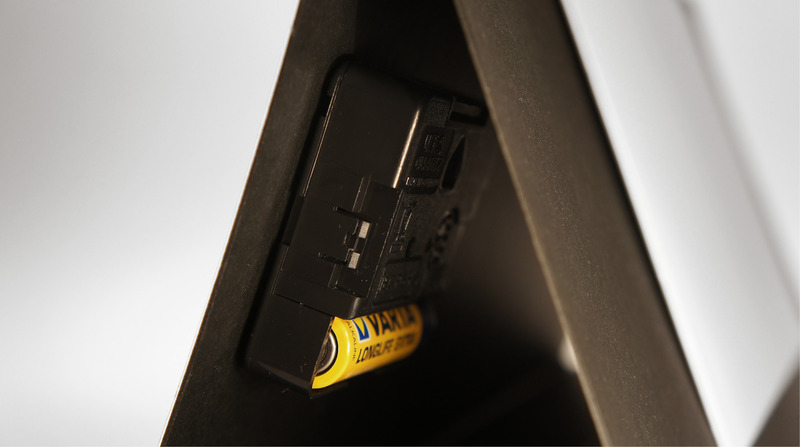 Photographs can be turned over as many times (during the year) as anyone likes. 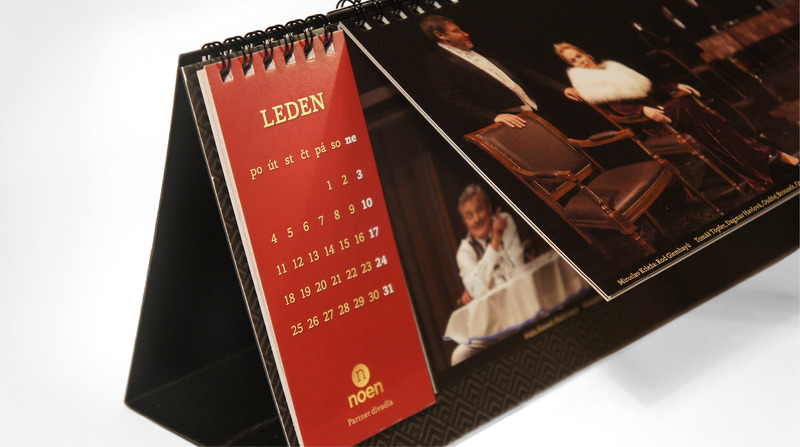 Idea of functional clock was brought to a table by theater’s marketing team. 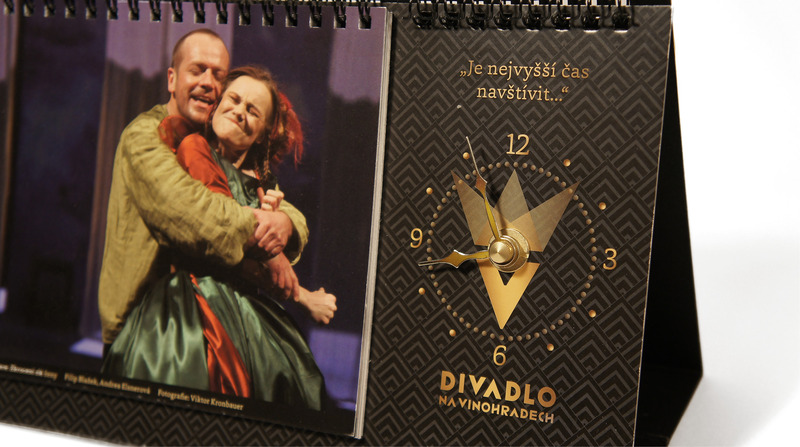 Czech clockwork has been used. 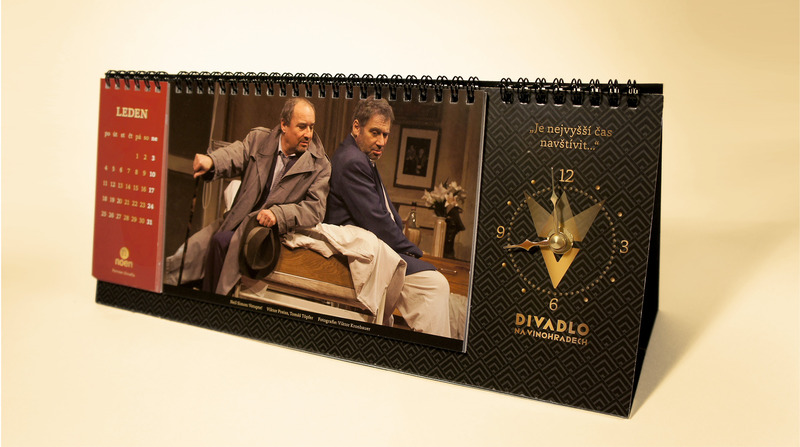 Currently on sale at their box office.